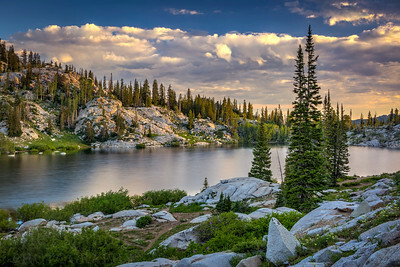 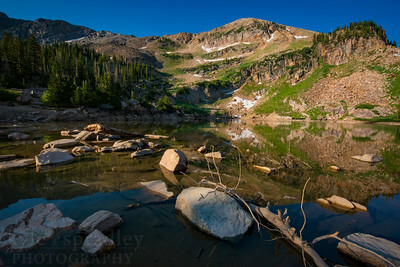 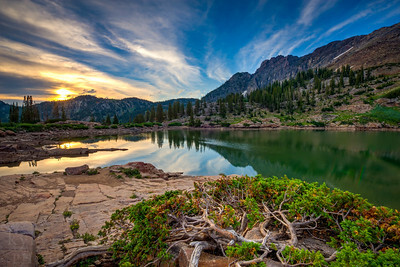 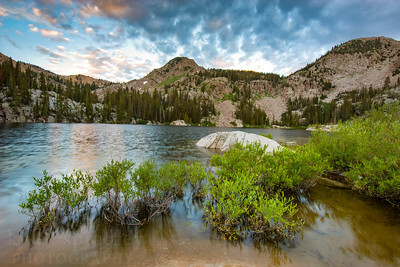 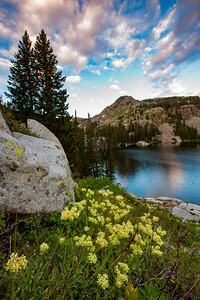 Sunrise at Lake Mary in Wasatch Range of the Rocky Mountains in Utah. 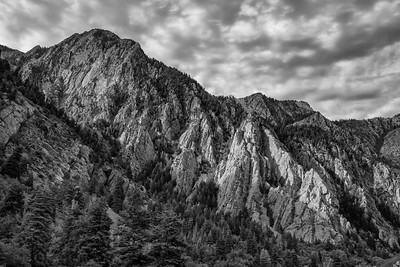 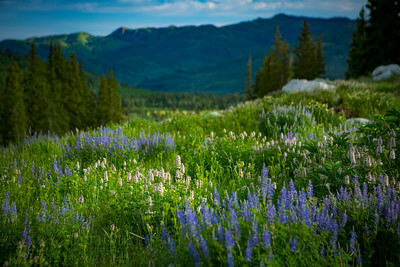 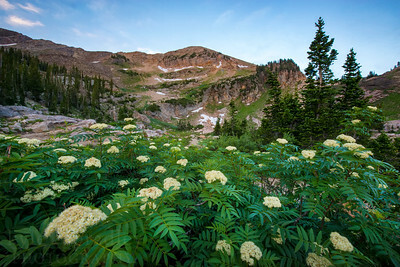 The popular hiking high alpine destination is located amongst the Brighton Ski Resort slopes. 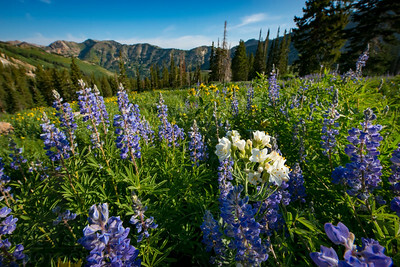 During the summer, the meadows around the lake are full of color as wildflowers add to scenic beauty of the mountain landscape.